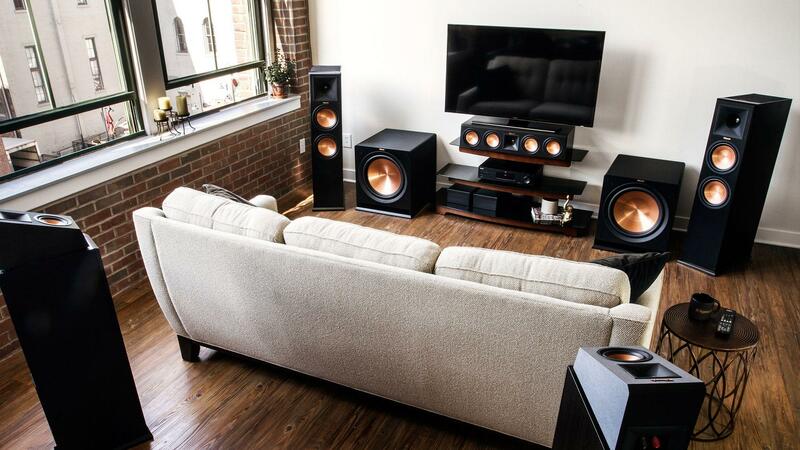 Making the decision to put together a surround system is a great choice (we certainly think so). However, picking the right speakers is only part of the equation. You also need to set them up properly in order to get the most out of them. Here a number of small tweaks that can have a drastic impact on your overall system performance. Your center channel speaker is quite possibly the most important in the system, it’s where the majority of dialogue comes from. Odds are, yours is placed either just above, or below your television. This is a great place for it. However, depending on your listening position, or the size of your TV, the center channel speaker may be pointed over your head, or at your feet. Aim your center channel toward where your ears are going to be when using the system. It’s simple but effective. Similar to the need to aim your center channel toward your primary listening position, do the same with your left and right speakers. Rather than just having them fire straight out from your front wall, angle them slightly toward the middle of the room, where you’ll be sitting. Every room is different, and that means low frequency sound waves behave differently in every room. While you might have a nice, out of the way place to locate your subwoofer, it may not be the best spot for it from a performance standpoint. Try moving your subwoofer around the room and figuring out where it sounds best. If that’s too difficult, put your subwoofer where you’ll be sitting and then move around the room until you find the spot where it sounds the best. Bookshelf and tower speakers can only go so low. Subwoofers can only get so high. The point at which these two frequencies meet is called the crossover point, and you set it in your audio video receiver. Having your speakers set too high, or your sub too low, can result in bad frequency, be sure to set them at the correct frequency.